The Alabama coastline is not long. It stretches just a bit over 35 miles from Florida to Mississippi, but this small area is perfect for Gulf Coast family fishing vacations. This deepest of Deep South spots begins and ends with the beach. Clean white sand and easy, warm Gulf of Mexico waters washing up in gentle waves make for relaxation and fun for the whole family. While the kids splash and play, Mom and Dad can watch the airplanes fly over, the parasailors glide past, and just relax in the sun while the kids have fun.But the gorgeous Alabama beaches are just the start of your family fishing vacation fun. A couple of very well-informed local authorities offer vacationers some good advice for planning a beach or family fishing vacation in Alabama. Kay Maghan, Public Relations Manager for Gulf Shores & Orange Beach Tourism and Angelo Depaola, a life-long Alabama Gulf Coast resident and realtor give us things to think about when planning a beach vacation in Alabama. The Alabama coast is a remarkable place for anglers. From small freshwater creeks that empty into the saltwater bays to the magnificent open Gulf of Mexico, there are fishing habitats in a full range for many, many great fish for anglers to chase. There is something for everyone and that makes for fun family fishing vacations. 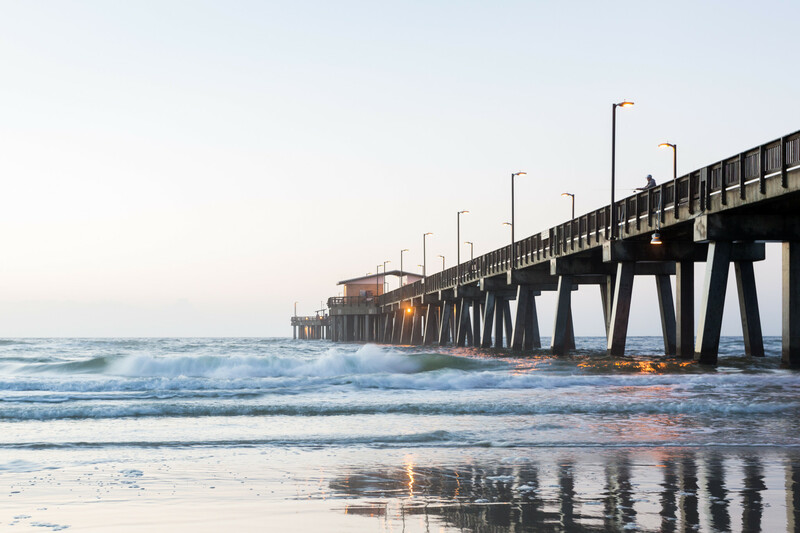 Of course, there is always the long, clean, well-maintained fishing pier at Gulf State Park, which, for a very low fee allows anglers and non-anglers alike some great viewing of fish, sea turtles, porpoises, sharks, and other sea life. 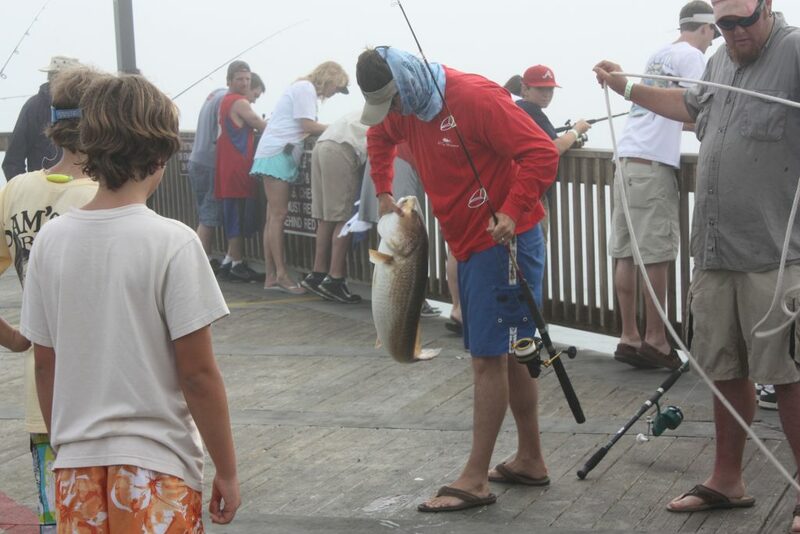 Some very big fish are caught regularly on the pier. The Gulf State Park fishing pier is a great place to see the life below the waves on Alabama’s coastline. And the fishing off the beach is always quite good. Regardless of whether you choose to fish from a pier, the beach or offshore in a boat the Alabama seashore is the perfect destination for family fishing vacations. Seafood, seafood, seafood and there’s no better location in the world to find delicious, absolutely fresh seafood prepared in a variety of ways than the Gulf Shores/Orange Beach area. All along Hwy. 59 leading into the beach area and on all of the roads along the beaches, a visitor will find a wide range of fine places to eat. From fast food chain restaurants to small, locally owned and operated establishments, there’s something for everyone who likes to eat. This locally owned and operated restaurant offers superb fresh seafood and we recommend the fried shrimp and oyster platter very highly. This is serious good seafood. Of course, there are also some first-rate barbecue spots in the area, and there are not many things better than coming in off the beach with the family and sitting down to a platter of barbecue and sipping on a cold iced tea. For boater vacationers who just happen to get hungry, there are several waterfront restaurants such as Pirate’s Cove, Flora-Bama Yacht Club, Tacky Jacks, Sunset Grill, Flipper’s Playa at Sportsman Marina, the Tikka Hut at Sportsman’s Marina, and Fisher’s Dockside at Zeke’s Marina. 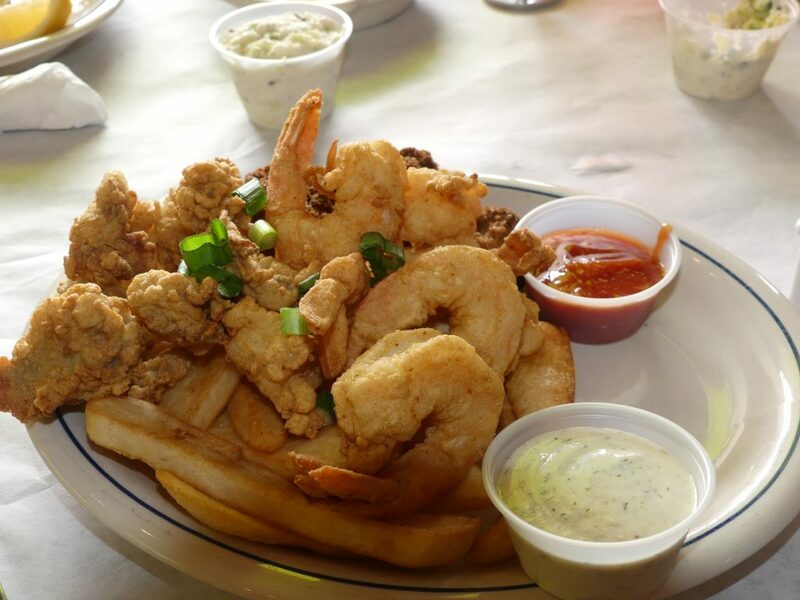 Believe us when we say good food is found at the Alabama beach area. 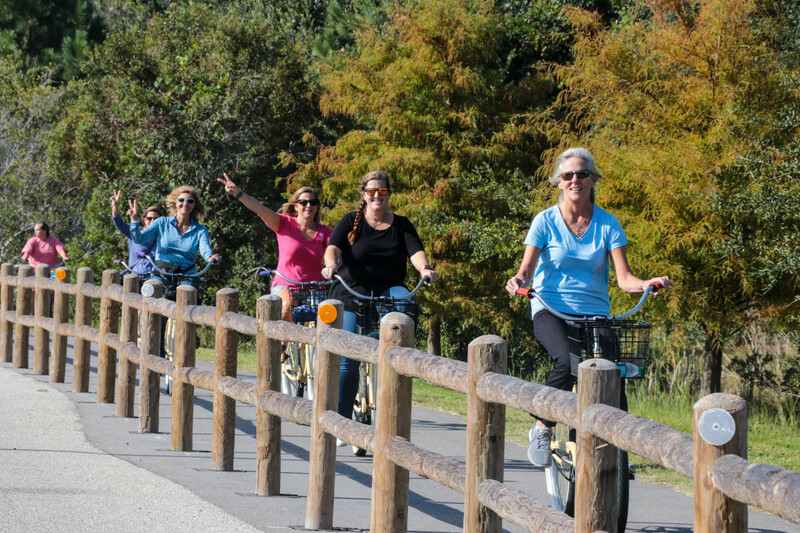 For non-water folks, the many miles of walking and biking trails in the Gulf State Park offers fun and relaxation away from the beach front crowd. Although it’s hard for me to see why anyone would need anything more from a family vacation than food and fishing, some family members might want to experience what the Alabama coast offers on dry land. There’s a world of things for these folks at Orange Beach and Gulf Shores. “Spring and fall are our festival seasons, and sports competitions and events are held throughout the year,” said Kay Maghan, spokesperson for Gulf Shores & Orange Beach Tourism. “Major spring festivals include Orange Beach Seafood Festival and Car Show in February, Mardi Gras parades in February and March, the March Festival of Art at the Coastal Arts Center and Ballyhoo Fine Arts Festival, the Waterway Village Crawfish Festival, Spring Bird Banding and the infamous Flora-Bama Mullet Toss all in April finished up with the Hangout Music Festival in May”. A full range of fall festivals occur annually in the beach area. “Major fall festivals focus on food with September Wharf Uncorked Food & Wine Festival, National Shrimp Festival held in October and the Hangout Oyster Cook-Off which happens in the first weekend in November), Maghan said. If festivals are not your family’s thing, there are many, many specialty boutiques and shops for those who like to browse and shop, and of course, the Tanger Mall with a huge range of shops and stores is just a very short run up Hwy 59. Lots of fine coastal golf courses are in the area, and among them are The Peninsula, Craft Farms, and Kiva Dunes. Then there is the Wharf at Orange Beach. Locating the best place to stay for any family vacation can be a chore, but with a little help, it can be made easier. 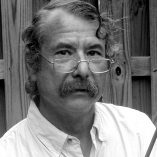 “There are plenty of great rental options in Orange Beach and Gulf Shores. I always tell people to look at VRBO.com or AIRBnB.com. Most if not all property management companies are utilizing these websites, plus you see what people who are not using a property management company have available for rent as well. Just log in, put in ‘Orange Beach’ or ‘Gulf Shores’ and your price and dates to see what’s available,” DePaola said. One of the big advantages for visitors planning a family fishing vacation at Alabama beaches is the ease of getting there. “We are located on the I-10 and I-65 corridor, so it’s easy for people to hop on the Baldwin Beach Expressway. If you’re coming from the west, we are really one of the first white-sand beaches you get to. If you live close to I-65 and you plan on going to the beach, there is a good chance you’ll end up in our backyard. One of the biggest game-changers for visitors has been the Baldwin Beach Expressway. When that opened up, starting north of Foley, it really made getting to and from Orange Beach/Gulf Shores much easier. Then it was expanded to I-10, and this made it even easier for people to get to the beach,” Depaola said. Gulf Coast Family Fishing Vacations are Much More Than Just Fishing. “I think what makes Gulf Shores and Orange Beach the best place for a family vacation is the breadth and diversity of things to do here. Granted, the number one reason people come here is for our gorgeous beaches, but there is so much to do off the beach- history, exploring nature, fishing, arts activities, boating trips and more,” Maghan said. “The main thing is that there is really something for everyone. If you are into fishing, Orange Beach gives you quick and easy access to the Gulf of Mexico. When you combine this with great food, great shopping, great beaches, great concerts, golf, sporting events, and great communities that love to share our passion for the area with others- we have it all,” DePaola concluded.